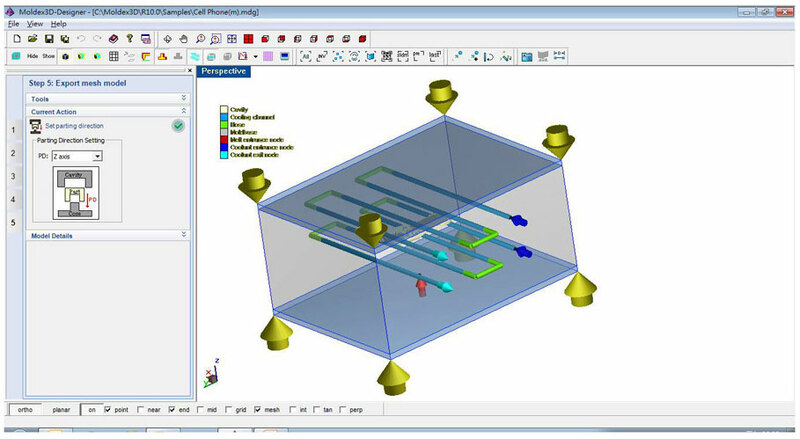 Moldex3D Designer develops a complete series of powerful pre-processing tools, including the automatic mesh generator and intelligent modeling wizards, to help users create True 3D mesh models efficiently and setup a variety of simulation conditions easily, such as gates, runners, cooling channels, etc. It highly improves user friendliness and efficiency. With Moldex3D Designer, designers are able to verify and optimize design changes more effectively and more flexibly. 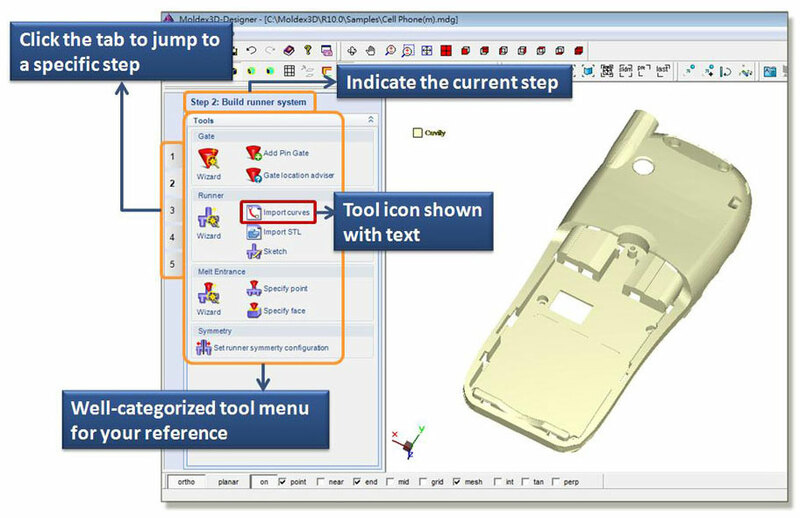 The easy-to-navigate user interface provides a consistent logic to guide users to access to the simulation workflow step by step. It highly improves the functionality and shortens users' learning curve. With only a few clicks needed, users can complete the full pre-processing preparation easily and efficiently. 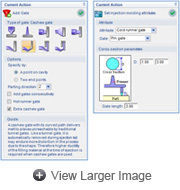 Moldex3D Designer provides various gate types in the Gate Wizard, including pin gate, sprue gate, edge gate, fan gate, etc. Using the gate-aware Runner Wizard, users can build single or multiple gates quickly and consecutively. 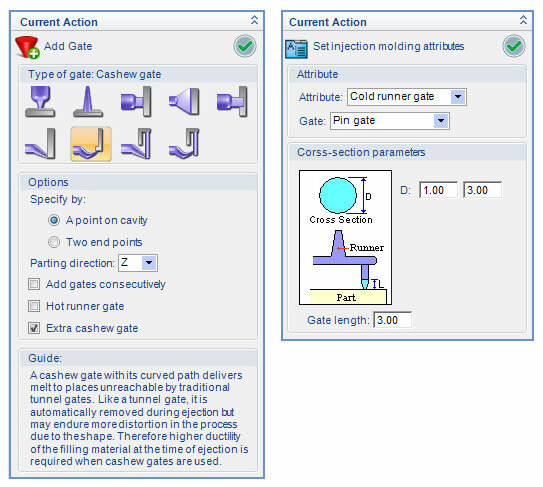 Additionally, users can apply Gate Location Advisor to setup one or more appropriate gate locations according to the part geometry. 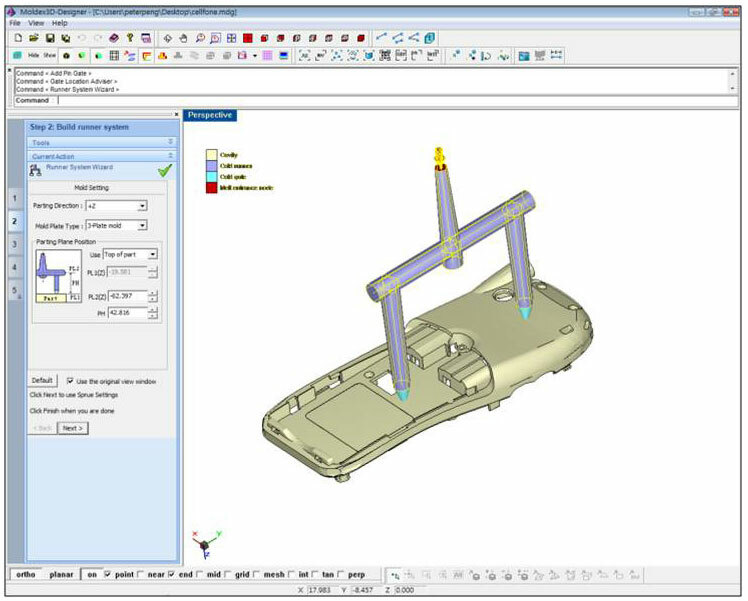 The Runner Wizard supports a variety of runner types, including runner cross section types, to better describe the real runner geometry with True 3D solid mesh. It also allows to use curve objects as runners and to construct a complete runner system with mixed STL topology and runner lines. The superior 3D mesh engine helps users generate 3D mesh for part and mold design more effectively and more efficiently. Users are able to work directly through CAD models to True 3D simulations, saving working hours in complicated mesh preparation. 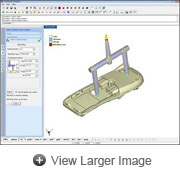 Its advanced functionalities also allow users to import/patch/edit CAD models for accurate injection molding analyses. The meshing kernels in Designer will automatically detect and fully utilize the modern multi-core CPU to speed up meshing without any additional settings. 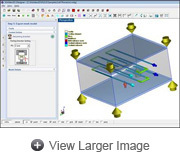 Users will save significant amount of time on mesh preparation.